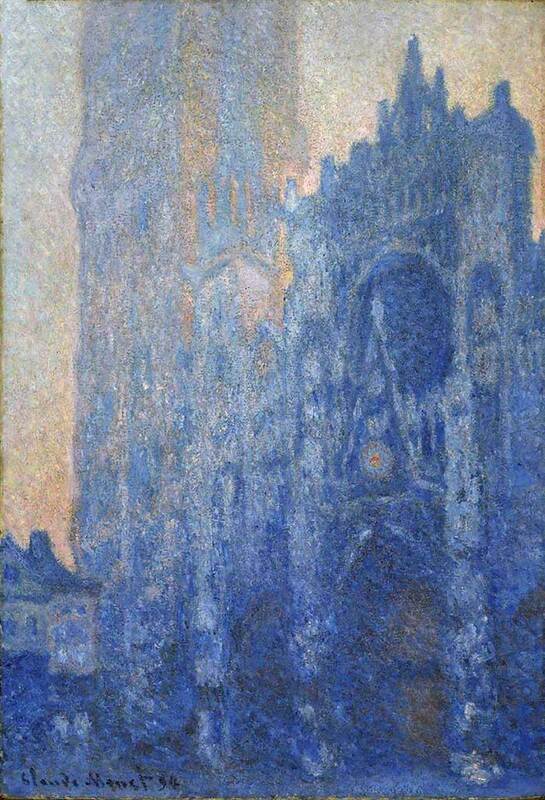 This is Part 1 of a series of posts which will delve into the complex world of color and light. The first concept I want to discuss is color temperature. 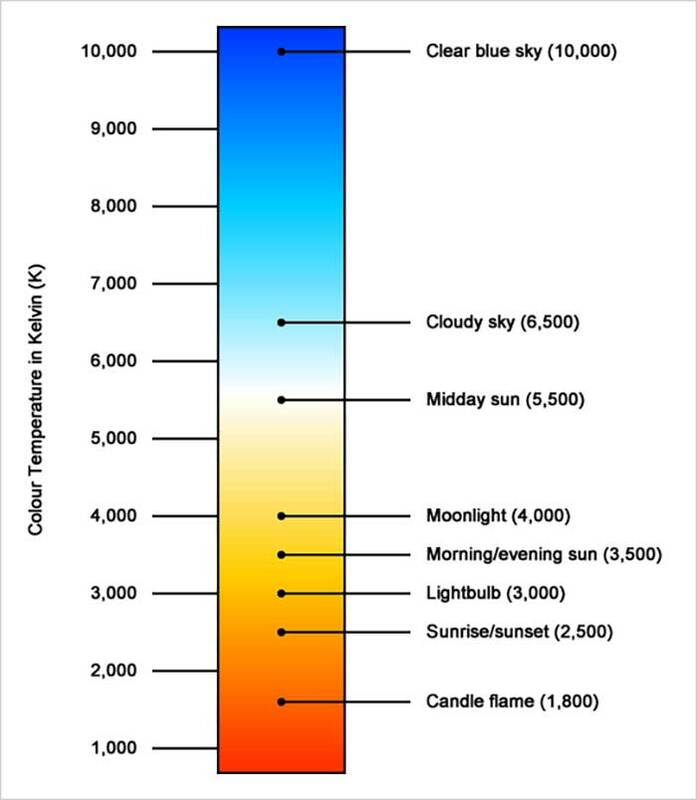 Color temperature generally refers to how “warm” or “cool” a color is. But if only it were that simple. 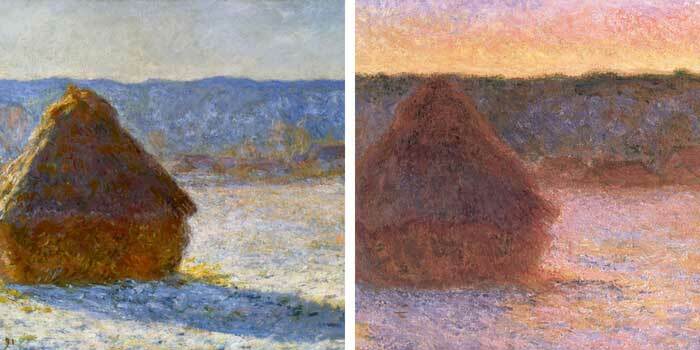 It seems every artist has a different interpretation of what color temperature means in art. In this post I want to break down color temperature and what it means for us artists. 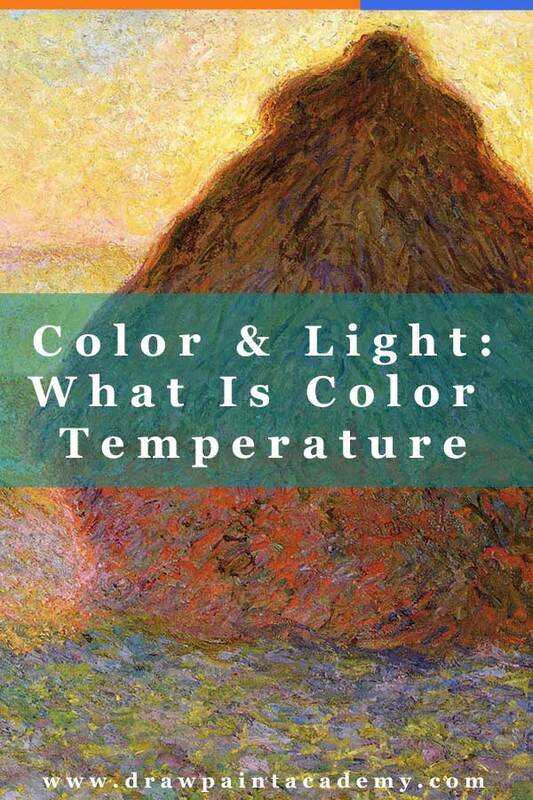 What does color temperature mean in art? Color temperature has a few meanings depending on your perspective. So reds, oranges and yellows are generally considered to be warm colors, and blues and greens are generally considered to be cool colors. But it is important to note that the color temperature of our paints is only perceptual. Our paints do not have any intrinsic or fixed color temperature. We merely associate certain colors as being either warm or cool based on the surrounding colors (more on this later). Have you ever thought about why red is considered a warm color and blue is considered a cool color? Especially given the fact that as an energy source gets hotter, it gets bluer. And as that energy source cools, it goes to yellow to orange to red. So from a physics perspective, our traditional use of warm and cool to describe colors is actually backward. But we are painters, not physicists, so this inconsistency does not trouble us. The reason we perceive certain colors as being either warm or cool has much more to do with psychology rather than physics. There are many psychological triggers which influence how we perceive colors. We generally associate blue with "cool" things such as water, ice and a clear blue sky. On the other hand, we generally associate red with "warm" things such as fire, blood or a sunset. 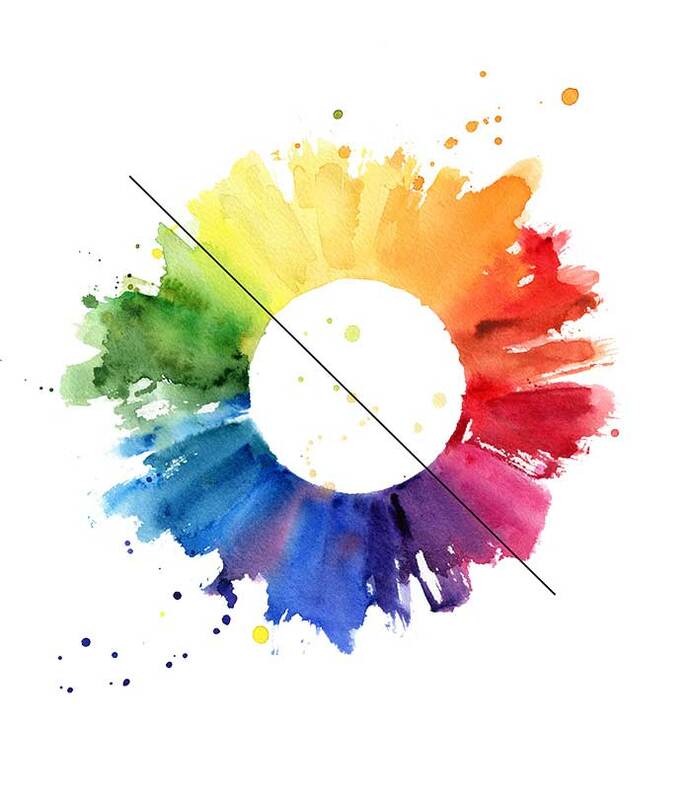 The problem with splitting the color wheel into warm and cool colors is that it implies color temperature is absolute, that is, certain colors have fixed and unchangeable temperatures. So a red is always warm and a blue is always cool no matter what. - If you have two different reds for example, are they both the same temperature? - What is the warmest color and what is the coolest color, if any? - Can a color have no temperature? As an artist, I prefer to think about color temperature in relative terms, rather than absolute terms. This is because colors cannot exist by themselves. You can only identify a color if you have another color to compare it to. Saying that blue is a cool color is just not a helpful statement. Sure, when compared to red, it does appear to be a cool color. But what happens when you place that blue next to another blue? Are both blues the same temperature, or is one cool and the other warm in relation to each other? If we think of color temperature in relative terms, then the first blue is slightly warmer than the second blue, as the first blue is closer to red/orange/yellow. But if we were to assign some kind of fixed temperature to colors (like many artists do) then you may just consider both blues to be cool. When you start to think about color temperature (and color in general) in relative terms, then you will see a much wider range of possibilities for using color temperature in your paintings. Rather than just trying to contrast a warm color like red against a cool color like blue, you will see opportunities to create subtle temperature contrasts within the blues and reds. That is, you could go from a warm blue, to a cool blue; or a warm red, to a cool red. This is how you can achieve these stunning color vibrations all throughout a painting. An artist who comes to mind when I think of vibrating colors due to subtle temperature shifts is Steve Huston. When most people think of color temperature, they think of these sharp contrasts of orange against blue, or green against red. But color temperature contrast could be as subtle as a slightly warm gray against a slightly cool gray. That is what color temperature comes down to for us artists. One simple question. So far in this post I have talked about color temperature as it relates to our paints. But, as I discussed already, our paints do not have any intrinsic color temperature, just a perceived color temperature. Light on the other hand does have an intrinsic temperature. Light over 5,000K is a bluish-white color and is considered cool and light which is under 5,000K has a yellowish-white to red color and is considered warm. Why is the color temperature of light important? Because it influences everything we see! 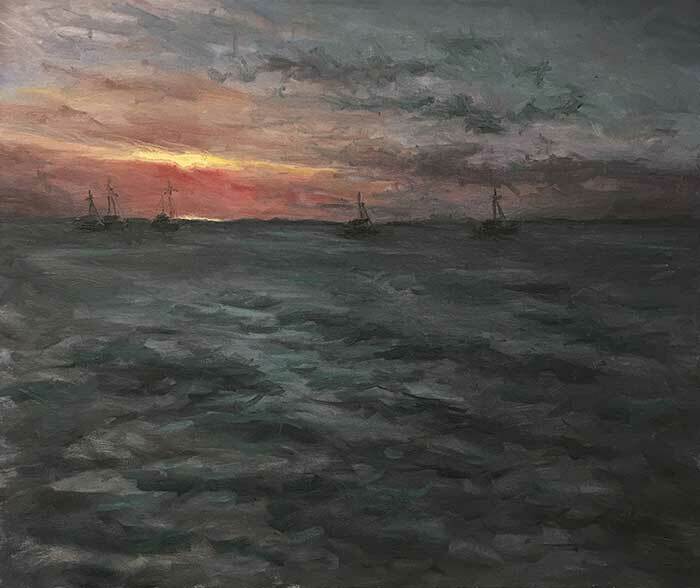 If you paint under the warm light of a sunset, then the colors you see will be vastly different to the colors you would see under the cool light of an overcast day. 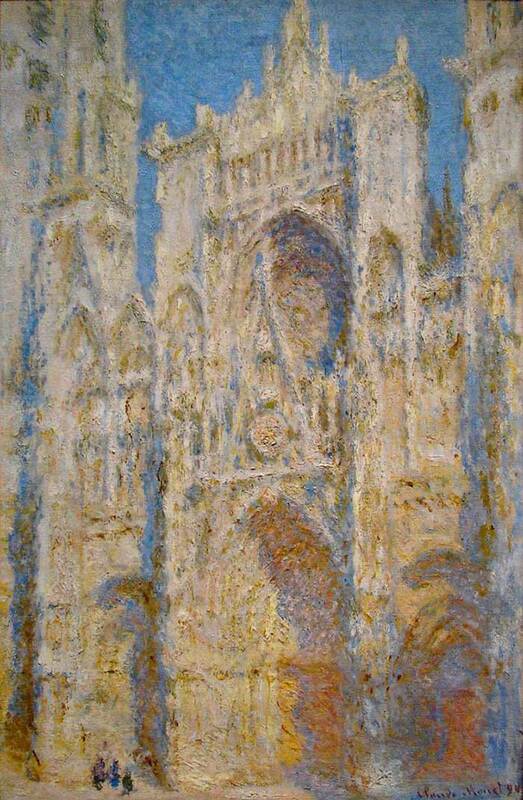 Claude Monet demonstrated this through his series of paintings on water lilies, haystacks and the Rouen Cathedral. 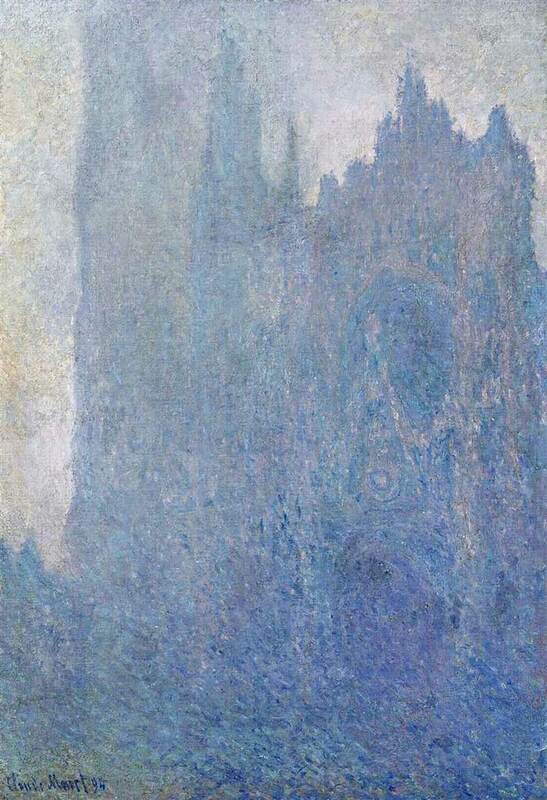 Same subject, but vastly different colors due to the different color temperature of the light which illuminated the castle. Our goal as artists is to tell a story about what we see using our paints. Part of this involves understanding what we see and then using the tools at our disposal to create some kind of faithful representation of that. Using our paints to create the illusion of this light. So if the light which illuminates our subject is the warm orange light of a sunset, then you need to select your colors to mimic how the light works. 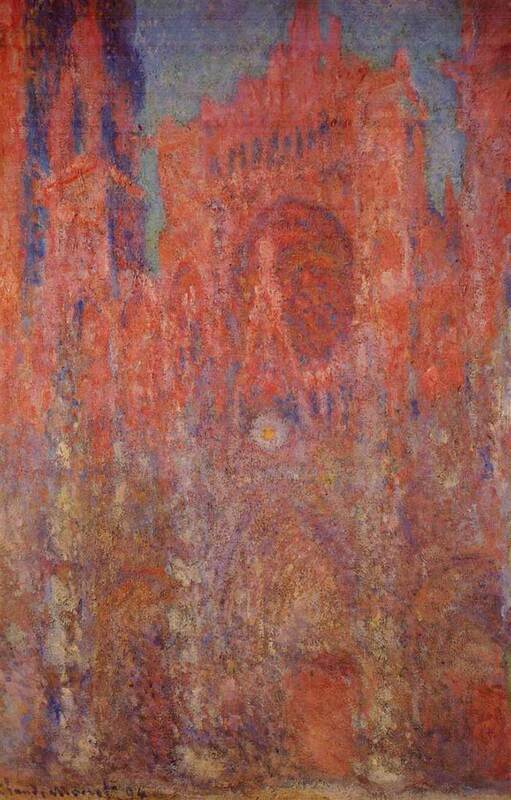 In the painting below, the yellows and reds appear warm in the context of the rest of the painting. This creates the illusion of the warm light of the sunset. But, if I were to surround those yellows and reds with more vibrant yellows and reds, then there would be no illusion of warm light in the distance. Our paints do not have an intrinsic or fixed color temperature. Blue is not always a cool color and red is not always a warm color. The color temperature of our paints is relative. That is, the temperature of a color is purely based on what you surround that color with. Light does have an intrinsic temperature which is measured on the Kelvin scale. The color temperature of light is one of the most determining factors to the colors which you see. The colors you see under a warm light will be vastly different to the colors you see under a cool light. It is important to understand the distinction between the color temperature of our paints (which is perceptual) and the color temperature of light (which is intrinsic). They are really one in the same, as without light there is no color. But understanding the distinction will also help you understand the limitations of our paints (refer to the point below). We are not able to replicate the appearance, including temperature, of light. But what we can do is use our paints to create the illusion of light. The better your understanding of light, the better you will be at creating the illusion of that light. In the next part of this series I will go into more detail about how you can paint under different light sources. Thank you for the clear explanation and examples. Definitely need to learn more!! I was looking for another insight of the theory of the color and I think I found here what I was looking for. I’m painting with ink and watercolour and I hope I can apply this on my paints.